I briefly introduced this concept to you back in February of 2010. The concept of battle spaces also applies to infantry tactics. The intricacies of tactical combat in built up areas revolve all around the treacherous quick changes in the layout of the battle space around every single soldier. In the illustration below, a US infantry man (A) is trying to find out if there any Russian troops (B) on the other side of the house. 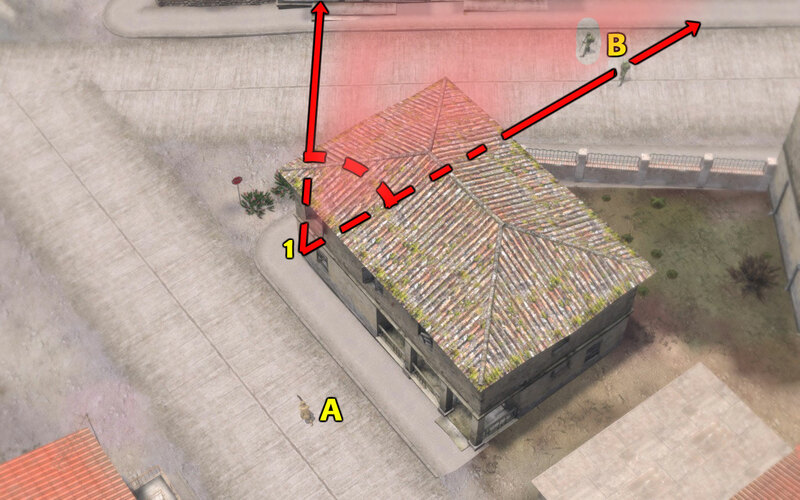 When the US trooper peeks around the corner (position 1), he suddenly acquires a huge battle space (red-shaded area within the red angle). In this particular case, the increase in battle space plays against the US trooper because he is outnumbered. 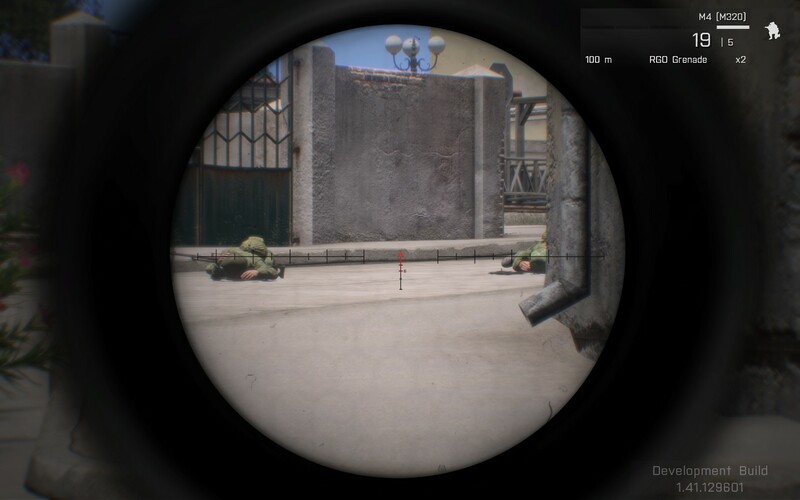 He can see more terrain, but he can get shot at from more places. "Slicing the pie" is a better alternative to peeking around corners. The same situation as above, but now the US trooper (A) slowly moves through positions 1, 2 and 3. At every position the battle space grows in surface, but the increase is gradual and at the trooper's choosing. 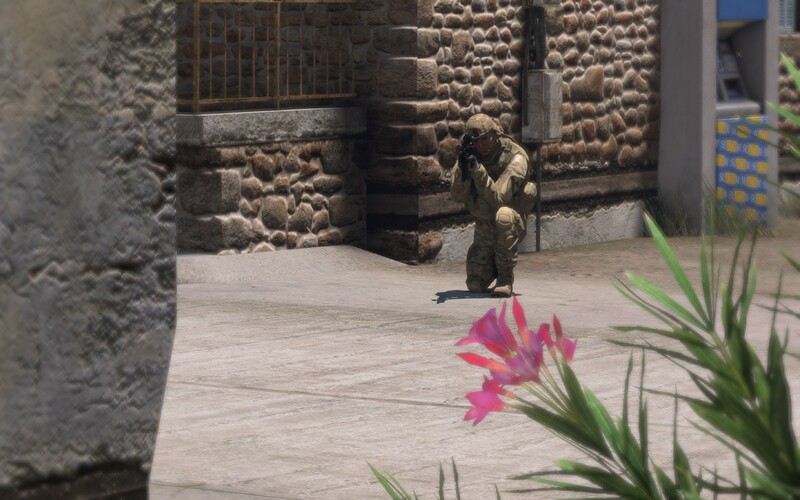 From the corner's perspective, the US trooper moves at a distance. Other considerations apply, like who is going to provide cover to this man who is exposed in the middle of a street. Is urban combat fun or what? Careful and thoughtful movement is the name of the game. Beyond the corner (foreground), lies a dead Russian soldier. A second Russian soldier is engaged and killed. 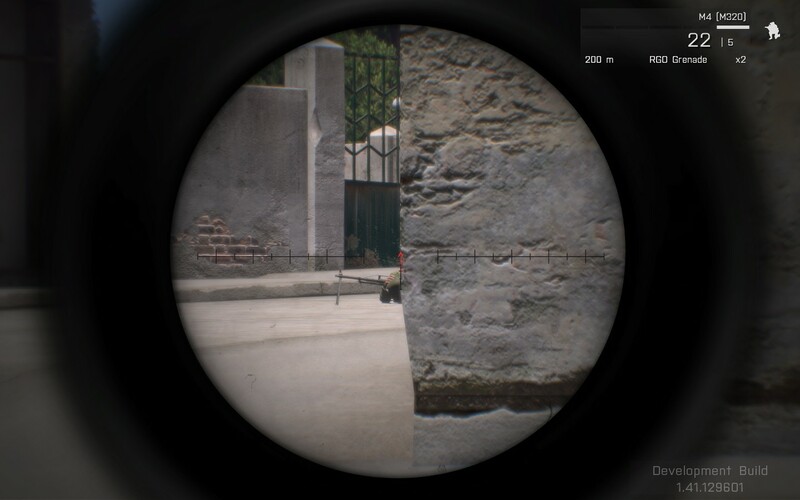 Always remember that lines of sight work in both ways. What you can see is both a tactical asset (you can target it) and a liability (you can be shot from it). This entry was made from a tiny ArmA 3 setup made with the mission editor. 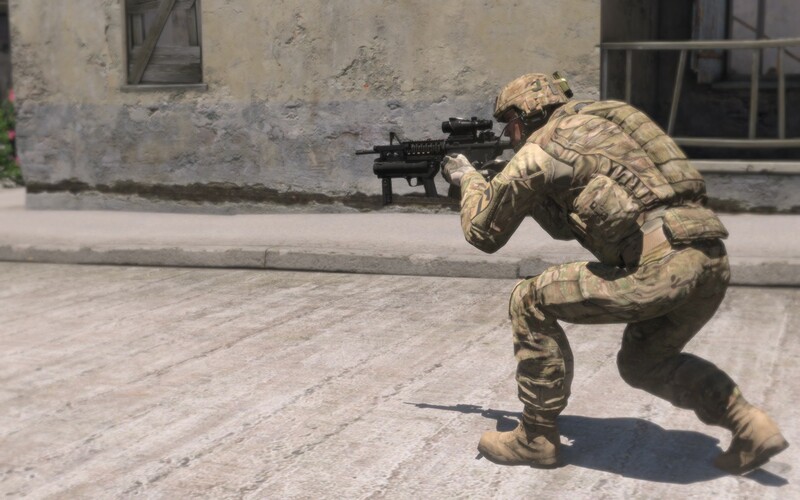 The US and Russian troops are from Red Hammer Studios' Escalation mod. Very practical explanation of this concept, is more tactical and useful than the Hollywood-ish take the corner.